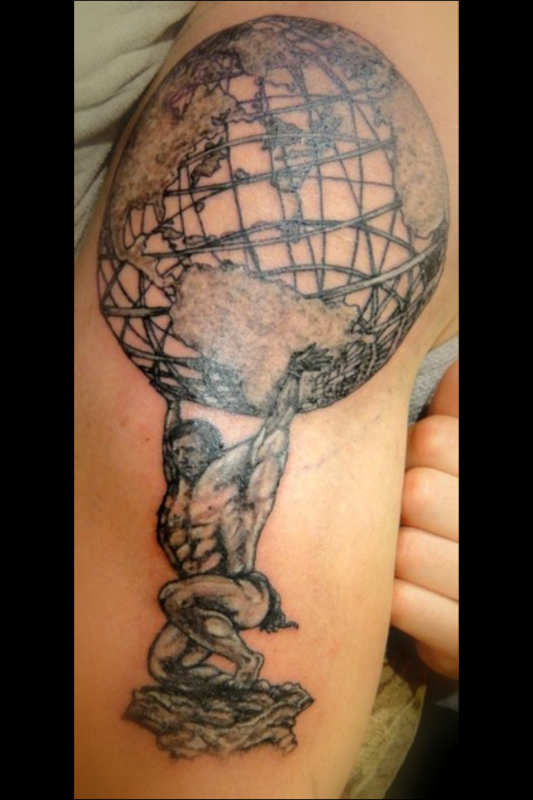 Home Off Beat	Classy and funky Atlas tattoo! 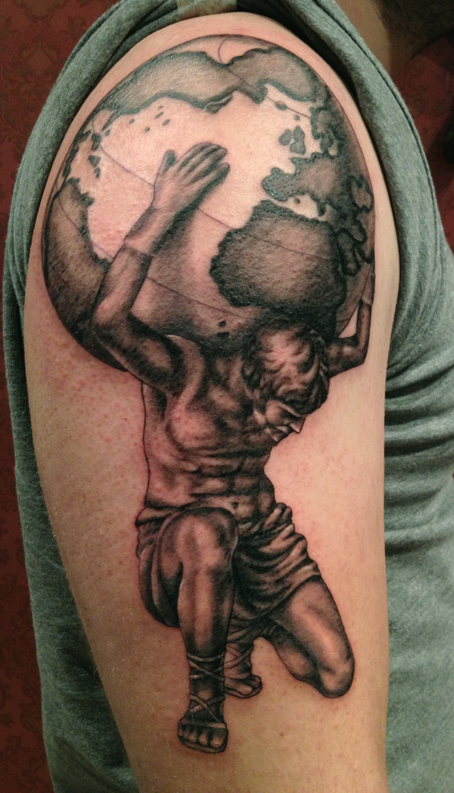 This Atlas tattoo is the perfect example of how imagination can run âwildâ. Using creativity at its best, this tattoo is hilariously cool. The Atlas sure holds the globe; but of a different kind! The Greek God is tattooed on her stomach, just below her assets, fondling one of them! Iâm sure heâs not complaining about the weight this time!